our perfectly imperfect life: Is there anything better? 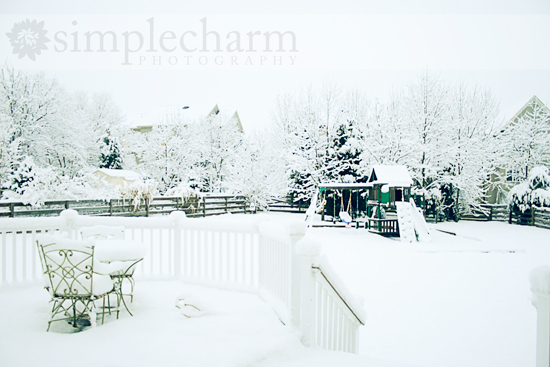 This morning we awoke to a beautiful blanket of snow. School was canceled ... making me the lucky winner of 12 hours of bonding with my three adorable children. Lucky me! Our poor pup ... Zoe ... wasn't sure how to go potty this morning. 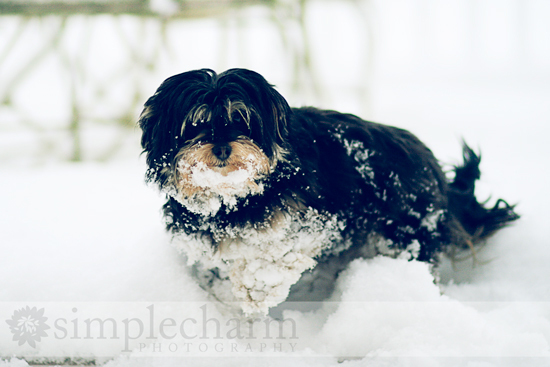 When you live in an area that doesn't normally have much snow, a little dog like ours gets a little freaked out. 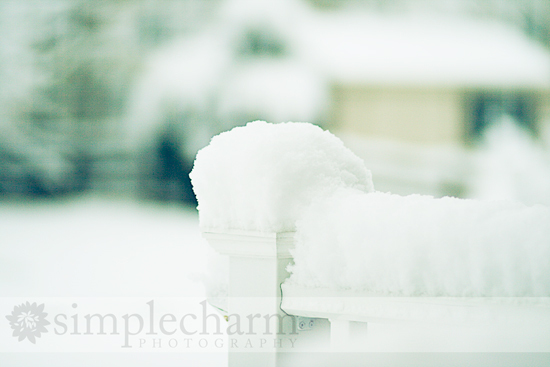 Not sure exactly how much snow we got ... but I've heard more is coming later this week. Poor Zoe still hasn't moved. Little does she know that the snow balls on her fur will get bigger and bigger the longer she stands there and refuses to go potty. Is there anything better than waking up to this? haha. welcome to my world! its beautiful, isnt it???? we get that a lot in RI and I never tire of it. Simply beautiful ! Enjoy your snow day! Sorry to be a party pooper . . . there is something better . . . NOT waking up to to it for 5 months out of every year. I liked it the first year we were here . . . not so much anymore. It IS really beautiful (in small doses) . . .
My dog is the same way. I have to go out and sweep a path for her to go down the deck stairs. Then clear a patch of snow for her to do her business. 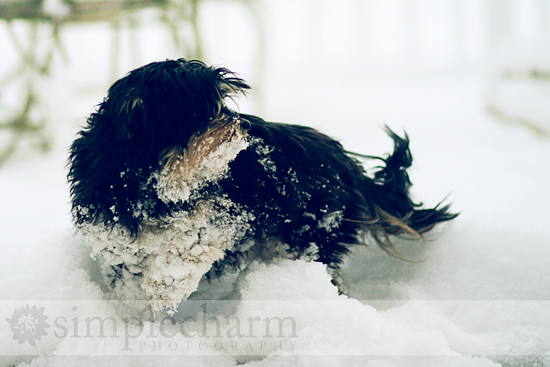 The last big snow we had would have buried her if she tired to go in it! Hope you all have a great day bonding! Wow it is beautiful! Did the dog need a bath after that or what? Mine won't even go out in the rain! 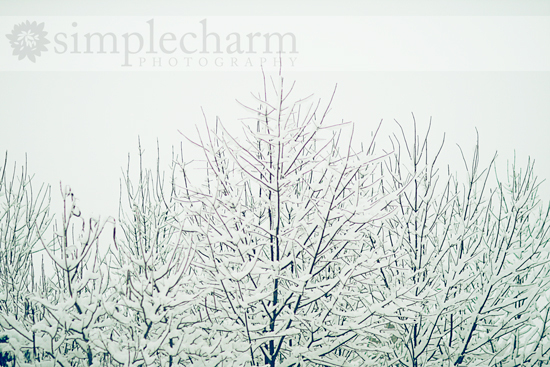 I woke to snow a few times back in '97 at Don & Regina's when we were there for Christmas. It was so beautiful but going out in it sucked..especially the huge ditch I didn't see due to the blanket of white snow covering it. I was soaked. Good times!